Halloween is only a couple of weeks away and I'm busting out all my Halloween themed polishes! 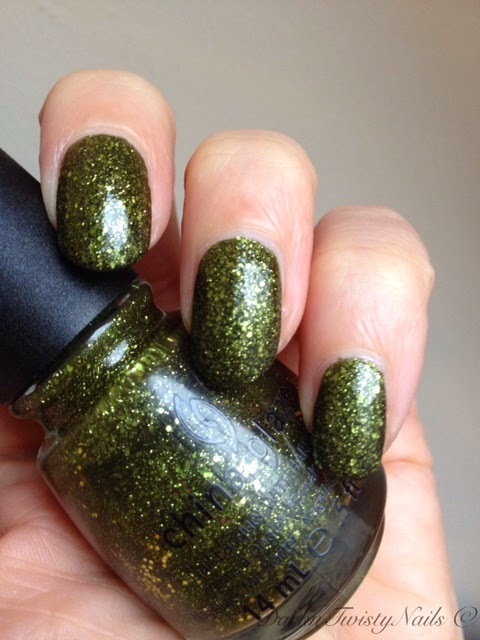 I resisted buying this particular polish for a long long time, because I already own Zombie Zest and I LOVE that one, so do I really need 2 olive green glitters in my stash? Well, as soon as I put this on my nails I knew the answer: YES! Yes, I do! 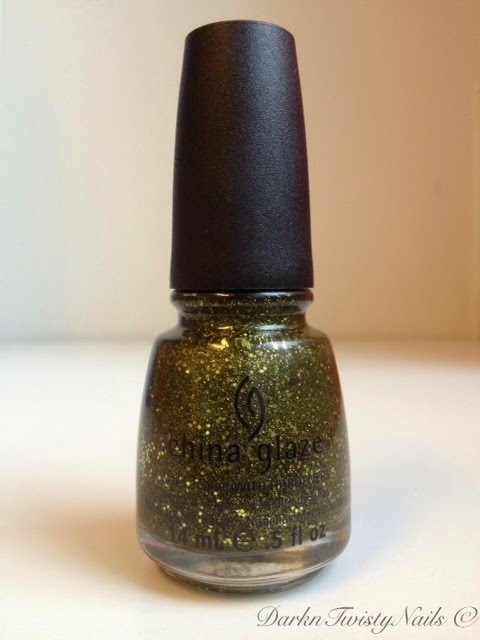 China Glaze It's Alive is an olive green jelly base, packed with green micro and small glitter. It was first released as part of the Haunting Halloween collection 2011, so you won't find this in store anymore, but you can still find it at the regular e-tailers. The formula is really good for such a dense glitter. It's a little on the thicker side, but easy to apply and completely opaque on its own in just 2 coats. It dries really fast, although a bit matter than I was expecting. I would suggest a good coat of top coat to make it shiny and smooth it out. If you want it completely smooth, you might have to do 2 coats, because this is a little bit of a top coat eater. It's absolutely gorgeous on the nail though. 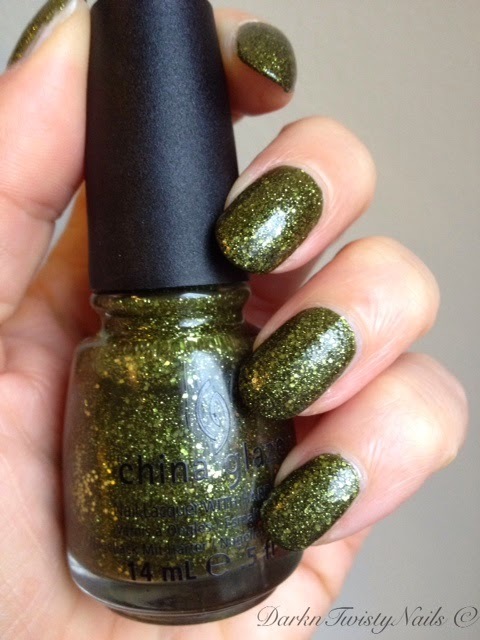 I love olive green polish and I love glitter, so why I resisted this beauty for so long, I will never understand. I've been wearing this for a couple of days and have gotten several compliments. This is definitely an eye catcher! Not only is this stunning, it also hasn't chipped on my yet, I don't even have any tipwear yet! No chipping isn't that exceptional on my nails, but I usually do have 1 or 2 nails that show tipwear on day 2 and this is still going strong! 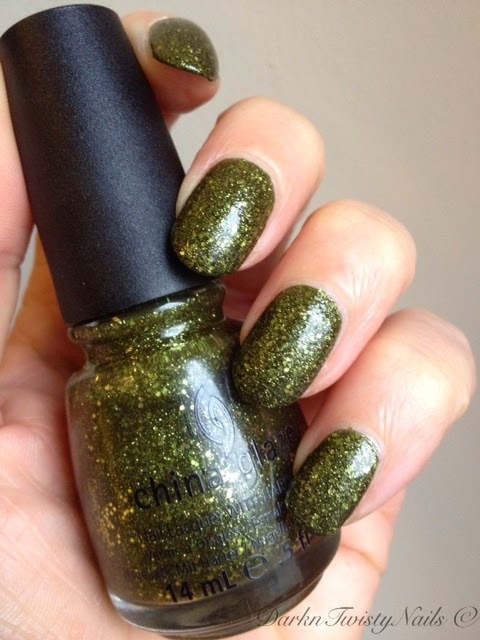 If you love olive green, green in general of glitter polishes, you need to get this! It's a perfect fall polish and I now you're going to love it just as much as I do! What do you think? Is this a polish you would wear or do you stay clear of this kind of color? Ze zijn zo apart! Weet gewoon niet wat ik er van moet vinden. Volgens mij is het zo'n lakje wat je moet dragen om te wennen en dan er helemaal verliefd op worden ;-) Hou zeker wel van groen!! Ha ha, ik snap helemaal wat je bedoeld! Mocht je hem ooit ergens tegen komen, zou ik hem gewoon oppikken en proberen, hij is echt super! I love this color so much. I own it but haven't worn it in about two years... that must change! I remember being so excited about this color! !